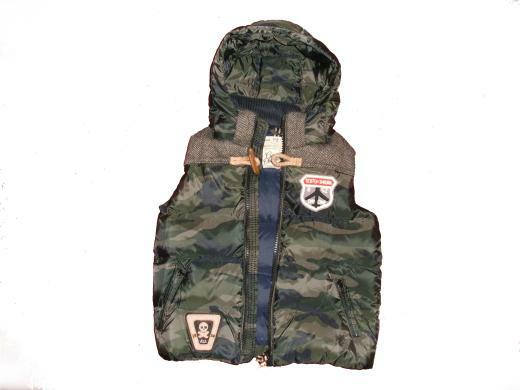 Hooded Down and feather bodywarmer in camoflage print 100% polyester shell with 50% wool 50% viscose herringbone yoke and cord collar. 100% nylon lining. Detachable hood and patch details, zip pockets.